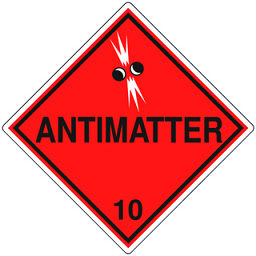 Antimatter is usually thought of as the stuff of science fiction. The Star Trek series made good use of the concept; the warp drive was driven by antimatter. In the original series Star Trek episode Obsession, Captain Kirk tells an ensign that one pound of antimatter can destroy a solar system. Let it be told, antimatter is for real. The positron, for example, is an antimatter particle of the electron with opposite charge. When a positron encounters an electron, the encounter annihilates both, producing a pair of photons. Although this explanation resonates for particle physicists, are there any real world applications of antimatter apart from a wayward warp drive? You betcha. In fact there is a very real world application of antimatter that is in regular use in the medical field. It is call a PET scan that is used in nuclear medicine imaging. “Positron emission tomography” is a technique used for the diagnosis of brain tumors among other things. A radioisotope is injected into the patient that undergoes a positron emission decay which emits a positron. When the positron encounters an electron, a burst of light is created that is detected by the scanner. Imagine that, matter/antimatter annihilation happening right inside your head. That’s no laughing anti-matter!